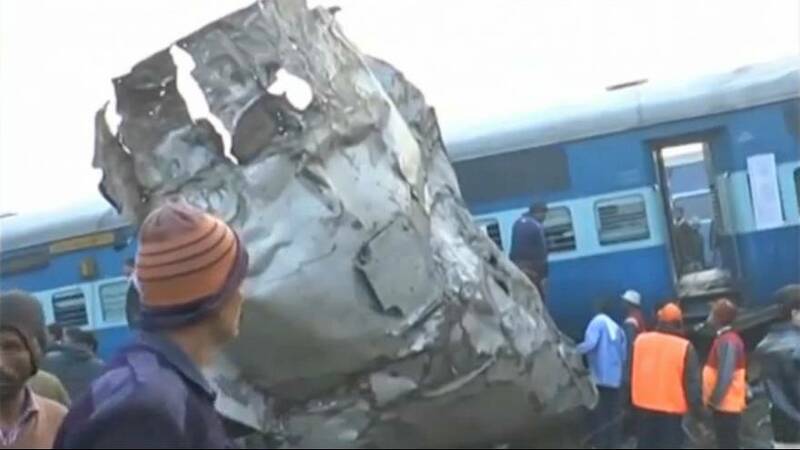 More than 100 people are said to have died after a train derailed in northern India. It happened in the early hours of the morning in the nation’s biggest state, Uttar Pradesh. The train was travelling between the cities of Patna and Indore. More than 150 people are said to have been injured, and the numbers are expected to rise. Some 30 ambulances were sent to transport them to hospital. Many passengers were said to have been asleep when the crash happened. “All of a sudden, there was a massive jolt. Our heads collided with the roof of the coach as it derailed… We somehow managed to get out because the door couldn’t be opened,” said passenger Ravindra Pathak. As rescue operations continue, emergency workers have been trying to free passengers who are trapped, using special cutting equipment. Fourteen carriages came off the track, three of them severely crushed. It is still not clear what caused the accident. India’s railway system – the world’s fourth largest – has a poor safety record and derailments are frequent. Suresh Prabhu, India’s Railways Minister, said in a tweet that the government would immediately investigate the causes of the derailment and promised accountability with the “strictest possible action”. The government, which has plans to modernise the country’s rail network, has offered compensation. “Anguished beyond words on the loss of lives due to the derailing of the Patna-Indore express. My thoughts are with the bereaved families,” Modi said.